Earlier this morning, my Buzz timeline showed one of my media sites' report on the man who killed and dismembered his wife of 2 years. It was so upsetting for me that I tweeted a bit about it about how it seemed that some things were changing for the worse in Naija these days. Someone somewhere wrote about this story and understandably tied the tragedy in with "marriage people". I understand the intention and stemming from reports that this particular marriage had had a history of violence and physical abuse, I get it. Nonetheless, my reaction is to say wait a minute, not all marriage is bad. Is there a societal pressure in Nigeria to get and stay married? Yes. Is it ONLY in Nigeria? No. Was there a history of DV in this case? Yes. Are we CERTAIN marital abuse lead to this death? No. Does DV happen in marriages? Yes. Does it happen ONLY in marriages? No. 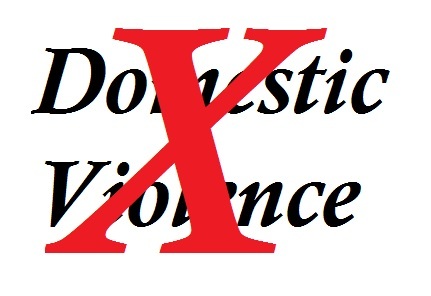 Domestic Violence is not about marriage because unmarried people have been attacked and killed in domestic situations. 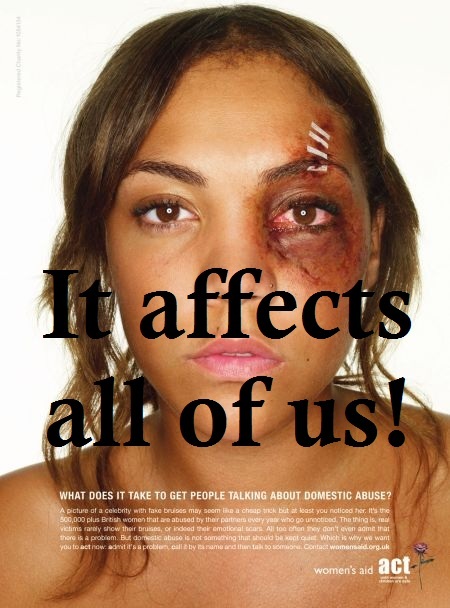 And while it disproportionately affects women, it's also not about gender because men have been victims of DV. I believe DV is about power and anger management. So whether one is married or single, male or female, they have to be self-aware and protect themselves. If you find yourself in long heated arguments with loved ones and family (even colleagues), please walk away. Don't be a victor, don't be a victim. You could be finished (in jail or psych ward) or you could be dead. There is no winner. My long comment on Kemi's post is below. I read the news on a tell-all blog, and was shocked. I think those blaming 'marriage people' are of course entitled to their opinion, but I will not dignify them with a rebuttal. The report said that the man appeared mentally deranged, and I'm guessing he became unhinged while in a fracas with the wife. This is an issue we hear a lot of hear in America, where sociopaths and psychopaths kidnap, murder and dismember even babies and children. While it used not to be common in Nigeria, the more western the naija society becomes, the more prevalent such mental health issues may become. Bad things happen in all relationships. The man could have been her father, brother, friend, boyfriend, colleague, etc. Women are generally - in naija as well as other countries - physically weaker, and therefore prone to be the victims of attacks or abuse, domestic or otherwise. We all heard of a senator that was slapped within the halls of the Nigerian national assembly. We should make ourselves strong, physically and mentally, so as to recognize and get out of potentially dangerous situations, or defend ourselves to the best of our ability. Let us not make this a married Vs single, or even a gender debate, it is about health and safety. Children are most times even more vulnerable than women. The report did not say anything about the daughter, and I hope she's OK.
My thoughts on DV for both married and single(in a r/ship) women: Get out, Get therapy/help, and if necessary, Stay out. Divorce is an option. May the woman's soul rest in peace.